“We know we made the right decision by working with a global company like WSI that’s available to us locally!” – POCO Solar Energy, Inc.
Over the years, WSI has developed countless digital marketing solutions for businesses of all sizes and industries. From generating online leads through search marketing campaigns to building brand credibility using social media, WSI has delivered outstanding results for our clients. 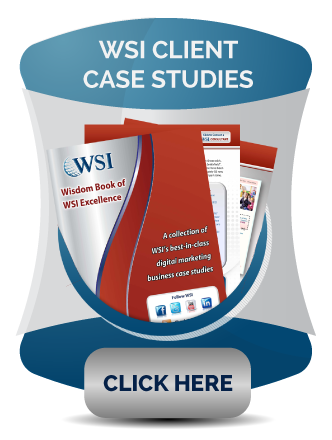 Take a moment to flip through our WSI Wisdom Book, a portfolio of outstanding digital marketing solutions for clients of various industries. Then, if you are in the Greater Toronto area, contact us to learn more about how we helped our clients, and what we can do for you.